Aero Club Albatross was founded in 1929 by Gustav Scheurer, one of America’s aviation pioneers, and has been in continuous operation since then. 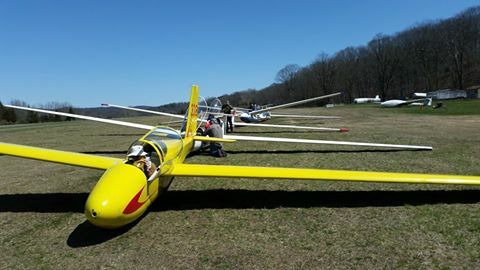 Our club is open to licensed glider pilots as flying members and non-licensed folks as associate members. We enjoy social events throughout the year, including picnics, glider meets, and an annual banquet. We presently have around 100 members and we welcome new members. We count among our members newly minted pilots up through seasoned cross country and racing pilots, including National Soaring Champions. We pride ourselves as a premier club for cross-country flying on all levels, from 50k Silver distance to 1000k+ flights. Our monthly meetings are held in Denville, New Jersey. The club is governed by a board of directors. Officers are chosen from the board and major issues are voted on by the members.